Can riparian vegetation shade mitigate the expected rise in stream temperatures due to climate change during heat waves in a human-impacted pre-alpine river? In eastern Austria, where air temperature rise is double that recorded globally, stream temperatures of a human-impacted river were simulated during heat waves, as calculated by regional climate models until 2100. An increase of up to 3 °C was predicted – thus exceeding thresholds of resident cold-adapted species. Vegetation management scenarios showed that adding vegetation can reduce both absolute temperatures and its rate of increase but is not able to fully mitigate the expected rise. The article deals with strategies to (i) reduce computation time and to (ii) appropriately account for uncertain input parameters when applying an open source GIS sliding surface model to estimate landslide susceptibility for a 90km² study area in central Italy. For (i), the area is split into a large number of tiles, enabling the exploitation of multi-processor computing environments. For (ii), the model is run with various parameter combinations to compute the slope failure probability. We propose in this study a fundamentally new approach for the definition of minimum rainfall required for the initiation of landslides based on satellite-derived antecedent rainfall estimates directly coupled with data on surface susceptibility for landslides. We apply our approach in the western branch of the East African Rift and provide first regional rainfall thresholds for landsliding in tropical Africa. This research work of this paper completes the authors' activity in the Military Emergencies Unit of Spain in responding to the problem of slope instabilities and how to predict them in the case of heavy rains. This work completes the work of stabilization and stresses made by torrential rains in the south of Spain. The results have been satisfactory. This article discusses how Nepal's development, landslide risk and geopolitics are intertwined as the country seeks to expand its road networks. However, rural villages adjacent to major roads have developed their own network of poorly constructed rural roads, which are likely to increase environmental and socioeconomic risks associated with roadside landslides. We base our observations on research conducted over a decade in Nepal, with reference to new research on roads and landslides. La Paz, Bolivia, experiences frequent damaging landslides. We quantify creep before and after the city’s largest modern landslide using spaceborne InSAR. Creep of ancient landslide deposits increased in rate and extent following failure and extended into adjacent intact materials. Accelerated steady-state creep reflects complex post-failure stress redistribution. Landslide risk in La Paz, which is underlain by many large ancient landslides, may be even greater than previously thought. We want to know which areas are prone to landslides and where pipelines are more unsafe. Through a model, we determined that 33.18 % and 40.46 % of the slopes in the study are were in high-hazard and extremely high-hazard areas, respectively. The number and length of pipe segments in the highly vulnerable and extremely vulnerable areas accounted for about 12 % of the total. In general, the pipeline risk within Qingchuan and Jian'ge counties was relatively high. A methodology is proposed for the quantitative risk assessment of roadways subjected to rockfalls, retaining wall failures, and slow moving landslides. It includes the calculation of the probability of occurrence of each hazard with a given level, based on an extensive collection of field data, and its association with the consequences. The latter was assessed considering the road damage repair cost for each level in terms of a fixed unit cost. 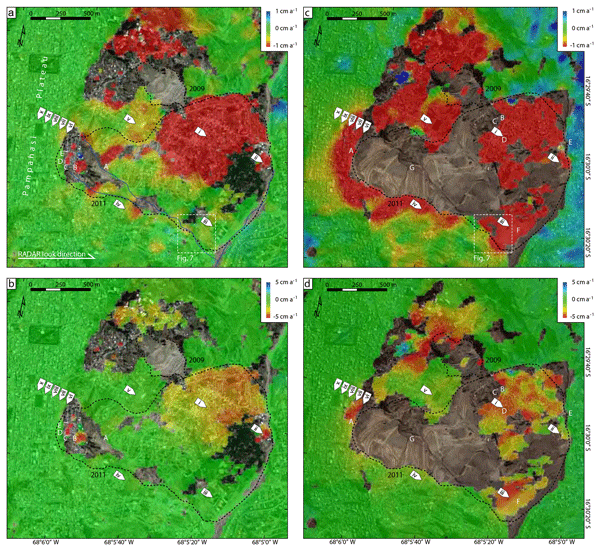 The paper discusses the use of rockfall modelling software and photogrammetry applied to images acquired by RPAS to provide support to civil protection agencies during emergency response. 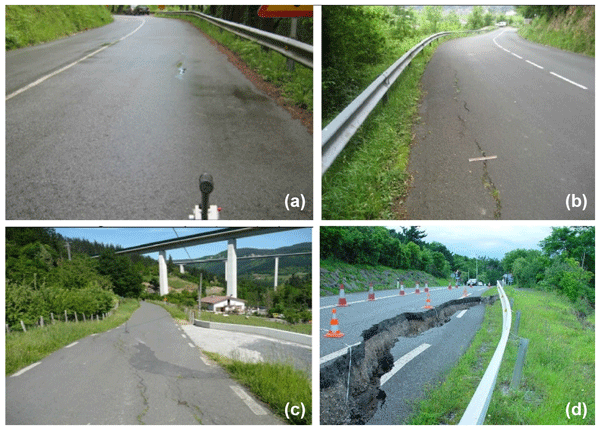 The paper focuses on a procedure that was applied to define the residual rockfall risk for a road that was hit by an earthquake-triggered rockfall that occurred during the seismic sequence that hit central Italy on 24 August 2016. Road reopening conditions were decided based on the results of this study. The work in this paper can be useful for government engineers who need to make a decision on which debris flow barrier to use and assess the consequences of debris flow. 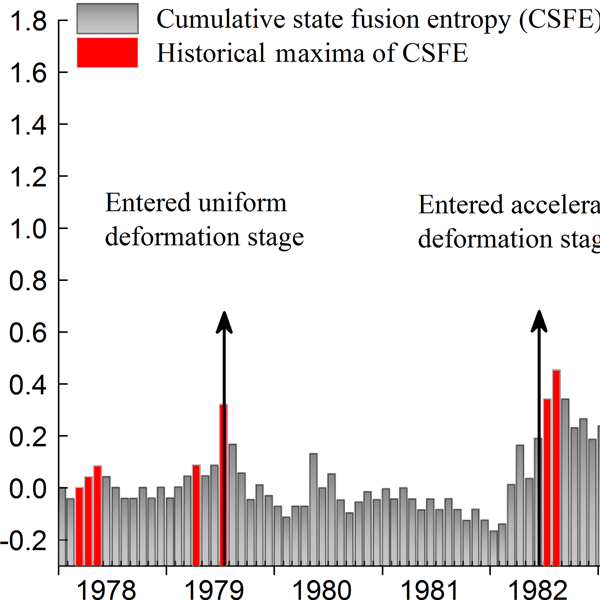 Although the experiments in this paper are relatively simple, a deeper understanding of the debris flow process can be enhanced with the results in the present study. 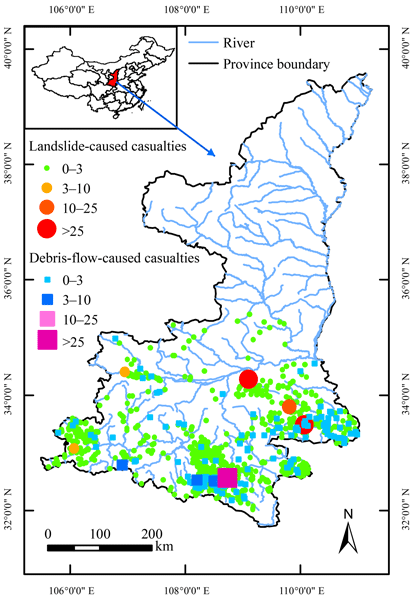 We investigated the spatiotemporal characteristics of landslide and debris flow hazards in Shaanxi Province and quantified the relationships between the occurrence rates of the two hazards and their influencing factors, including antecedent rainfall amount, rainfall duration, rainfall intensity, terrain slope, land cover type and soil type. Rainfall amount, duration, and intensity and slope are the dominant factors controlling slope stability across this region. 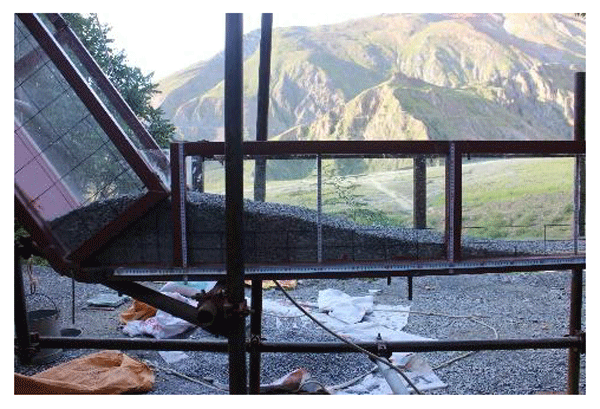 In the framework of the NATO Science for Peace and Security Program, we have increased the knowledge on the geohazards affecting the Enguri hydroelectrical plant (Caucasus, Georgia). 2 km from the dam, active deformation (2–5 cm yr−1) affects a slope facing the water reservoir. Our field, seismological and numerical analyses show that the worst scenario is represented by seismic shaking with a local peak ground acceleration capable of generating an unstable rock volume of up to 48 ± 12 × 106 m3. Wenjia gully is a typical gully-type debris flow, which has a large-scale catchment and great hazard risk to the local people. 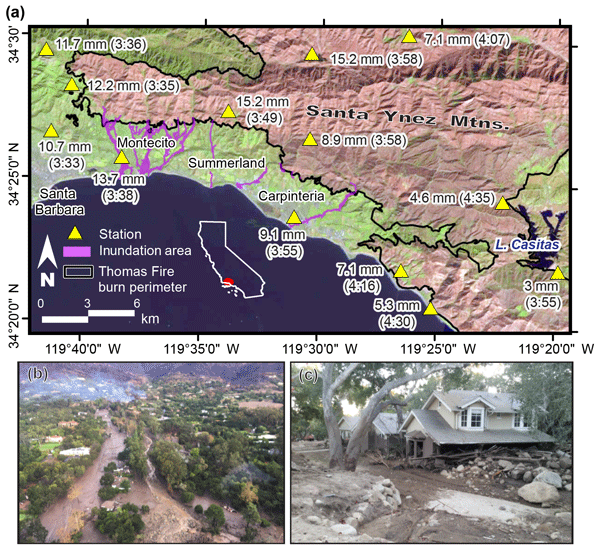 Based on the monitoring data for almost 6 years until now, the characteristics of debris-flow-triggering parameters (pore pressure and rainfall) have been analyzed, especially the relationship with debris flow occurrences. Then, a combined threshold has been presented and tested in order to provide a method for safeguarding the population in the region. Flow-like landslides, such as flow slides and debris avalanches, have caused serious infrastructure damage and casualties for centuries. Effective numerical simulation incorporating accurate soil mechanical parameters is essential for predicting post-failure landslide mobility. 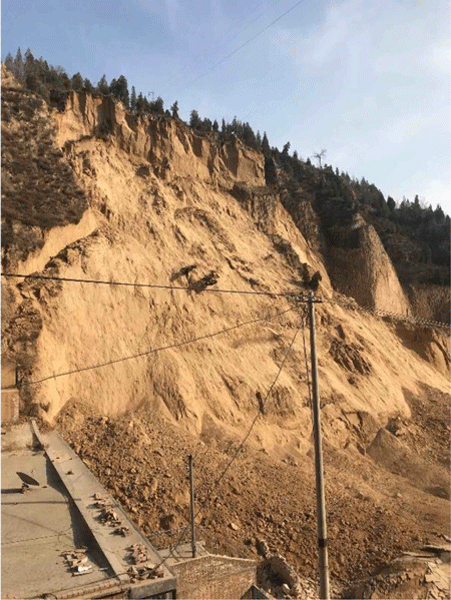 In this study, smoothed particle hydrodynamics (SPH) incorporating soil ring shear test results were used to forecast the long-runout mobility for a landslide on an unstable slope in China. Road development in Nepal promises to improve access to markets, education and healthcare, but not without hazardous consequences. Using GIS maps of monsoon-triggered landslides, we show that rural roads are responsible for doubling the number of landslides in one mountainous district. Engineers are seeking sustainable and affordable eco-solutions to help stabilize these roads in order to prevent further loss of life and property as Nepal approaches this next phase in its development. General laws regarding the effect of the impact angle on the coefficients of restitution occur regardless of the test scales and conditions. Increasing the impact angle results in a reduction of Rn, Rv and RE and causes an increase in Rt. The rotation plays an important role in the effect of the impact angle. A higher percentage of kinetic energy converted to rotational energy always induces a higher Rn and a lower Rt. 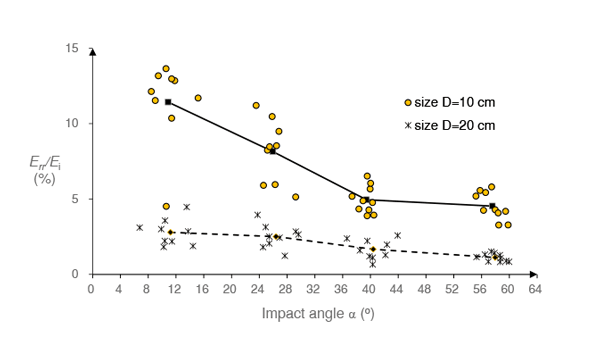 The percentage can be associated with the impact angle and the rock sizes. Landslide hazard at a given location may change over time due to climate change, since the frequency and intensity of landslide-triggering factors such as rainfall can vary significantly. It is important for stakeholders and decision-makers to predict trends in landslide hazard to mitigate the risk of losing lives and material assets. This study contributes an innovative method for the prediction of future variations of rainfall-induced landslides and shows its application to an Italian site. Mitigating landslide risk requires information on landslide hazard at a suitable scale to inform decisions. We develop simple rules to identify landslide hazard – the probability of being hit by a landslide – then test their performance using six existing landslide inventories from recent earthquakes. We find that the best rules are: minimize your maximum look angle to the skyline and avoid steep (> 10°) channels with many steep (> 39°) areas that are upslope . 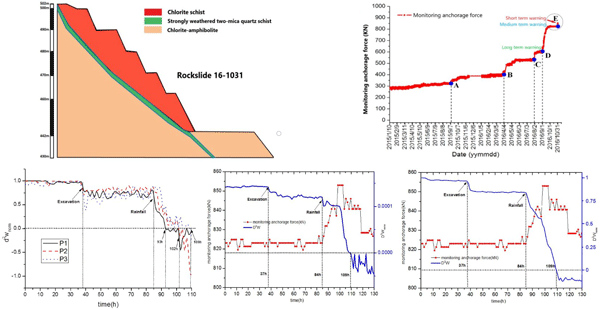 We introduce a new prediction-oriented method for hazard assessment of volcaniclastic debris flows, based on multiple models. We apply our procedure to a case study of the 1955 Atenquique flow, using three widely used depth averaged models. Depending on how it is looked at, the exercise provides useful information in either model selection or data inversion. Connecting inverse problems and model uncertainty represents a fundamental challenge in the future development of multi-model solvers. 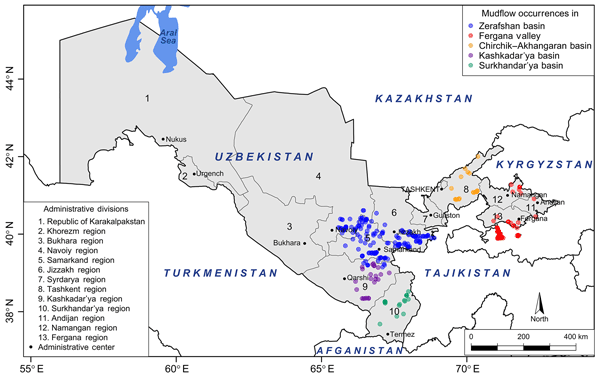 The focus of this study is mudflow response to atmospheric conditions, notably major weather types and their linkages with precipitation climatology initiating mudflow events in Uzbekistan. The desired outcome of this study is to eventually select representative weather types which can then be applied to climate change studies. 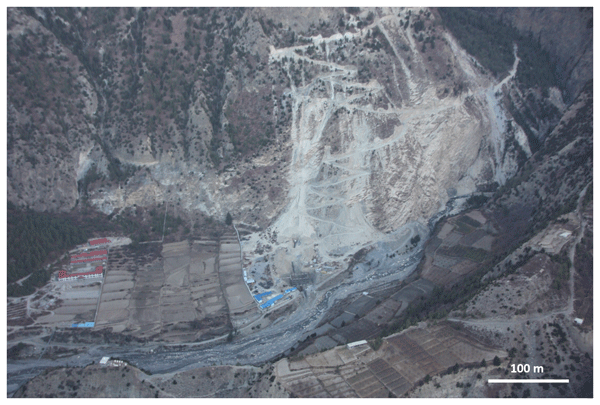 Building an early-warning method for rainfall-induced landslides has been an aim of landslide studies to prevent or mitigate the impact of disasters. The time information of landslides is the linchpin; however, it has been difficult to get the time information. In the study, we applied the observation of landslide-induced seismic signals to extract the occurrence times of numerous large landslides. Furthermore, the common estimations of the rainfall thresholds for landslides were performed. While producing a landslide susceptibility map using a fieldwork-based landslide inventory and a logistic regression model, two crucial questions came to our minds. 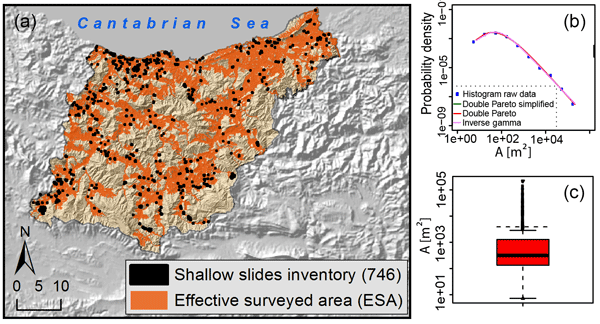 (i) Shall we consider unsurveyed regions of the study area, for which landslide absence is typically assumed? (ii) Which reference mapping unit should be used in our model? So we compared four maps and found that rejecting unsurveyed regions together with slope units as reference mapping unit should be the best option. Natural instability processes are very common. Almost every year, landslides, mud flows and debris flows in the Alpine and Apennine areas and flooding in the Po flood plain cause severe damage to structures and infrastructure and often claim human lives. Geology researchers collect thousands of rain data and process them to try the most precise prediction about the triggering of superficial landslides in order to mitigate the risk and safeguard human goods and lives. Debris flows, following wildfires, constitute a significant threat to downstream populations and infrastructure. Therefore, developing measures to reduce the vulnerability of local communities to debris flows is of paramount importance. 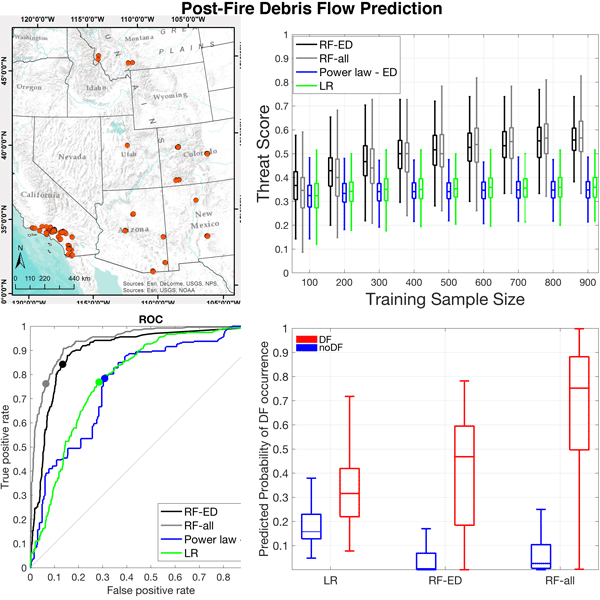 This work proposes a new model for predicting post-fire debris flow occurrence on a regional scale and demonstrates that the proposed model has notably higher skill than the currently used approaches. Rockfalls present a hazard to railways in mountainous terrain. 3-D remote monitoring data can be used to identify events that occurred between data collections. Using a case study from British Columbia, we present a method combining 3-D rockfall event data with spatial rockfall simulations to provide a refined estimate of the frequency of rockfalls presenting a direct hazard to passing trains and railway infrastructure, which is often less than the total number of rockfalls that occurred. Landslides are a hazard in terrestrial environments with slopes. This paper presents global analysis on patterns of fatal landsliding between 2004 and 2016, using a database collated from media reporting. The data show ~ 56 000 people were killed in 4862 landslide events. Active landslide years coincide with patterns of regional rainfall: most landslides were rainfall triggered. For the first time, analysis shows the number of landslides triggered by human activity increased with time. Regional-scale landslide forecasting traditionally strongly relies on empirical approaches and landslide-triggering rainfall thresholds. Today, probabilistic methods utilizing ensemble predictions are frequently used for flood forecasting. In our study, we specify how such an approach could also be applied for landslide forecasts and for operational landslide forecasting and early warning systems. To this end, we implemented a physically based landslide model in a probabilistic framework. Natural hazard events affecting the Swiss transportation networks during the 5-year time period 2012–2016 were collected in a database with a significant effort for small events (< 10 m−3) that are generally not radar screened. Of 848 collected events, 95 % are small events for which annual direct cost was estimated at EUR 2.5 million. Analysis of the 172 attributes by event allows us to highlight their spatial, temporal, and damage trends as well as their impacts on road and railway traffic. In this paper, we present the application of the physically based HIRESSS model (High Resolution Stability Simulator) to forecast the occurrence of shallow landslides in a portion of the Aosta Valley region (Italy). An in-depth study of the geotechnical and hydrological properties of the hillslopes controlling shallow landslides formation was conducted, in order to generate an input map of parameters. The main aim of this study is to set up a regional landslide early warning system. This paper aimed to develop and test a data-driven model for the identification of road sectors that are susceptible to be hit by shallow landslides triggered in slopes upstream of infrastructure. Most susceptible road traits were those located below steep slopes with a limited height (lower than 50 m), where sediment connectivity is high. The results of the susceptibility analysis can give asset managers indispensable information on the relative criticality of the different roads. 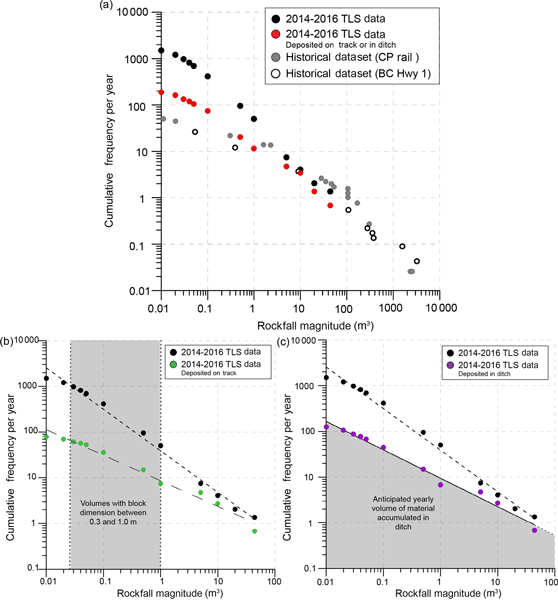 The difference in susceptibility might lead to a difference in warning threshold for rainfall-induced landslides. Here we divided slope units into three susceptibility levels and established their thresholds separately. It was found that the threshold values gradually increased as the susceptibility decreased for the same alert level. This showed that classifying susceptibility and establishing thresholds separately might provide refined thresholds for disaster prevention. Norway has, since 2013, an operative nation-wide landslide forecasting and early warning system for shallow landslides. The early warning system uses thresholds for soil moisture and water supply from rain and snowmelt to issue warnings to the public and relevant authorities when the risk for landslide hazard is present. The warnings are regional and are issued at www.varsom.no. Colours are used to symbolize the hazard level. 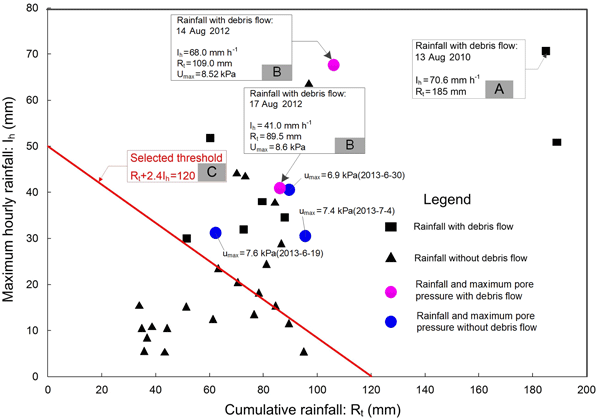 Debris flow early warning has always been based on well-calibrated rainfall thresholds. For areas where historical data are insufficient, to determine a rainfall threshold, it is necessary to develop a method to obtain the threshold by using limited data. A quantitative method, a new way to calculate the rainfall threshold, is developed in this study, which combines the initiation mechanism of hydraulic-driven debris flow with the runoff yield and concentration laws of the watershed. Stability analysis is very important for landslide early warning, especially the continuous stability, but there are some limitations in obtaining continuous stability by using traditional stability analysis methods. In view of this, we have further explored the displacement monitoring data in order to find new indicators and methods that can show landslide stability changing regularities. Reliable information on the extent of climate change and its projected future impacts on transport infrastructure is of prime importance for the smooth functioning of societies. Rainfall events which may trigger landslides are analysed until the end of this century and compared to present-day conditions. Results indicate overall increases of landslide activity, especially in areas with structured terrain. Derived findings support proactive adaptation to rainfall-induced landslide exposure. 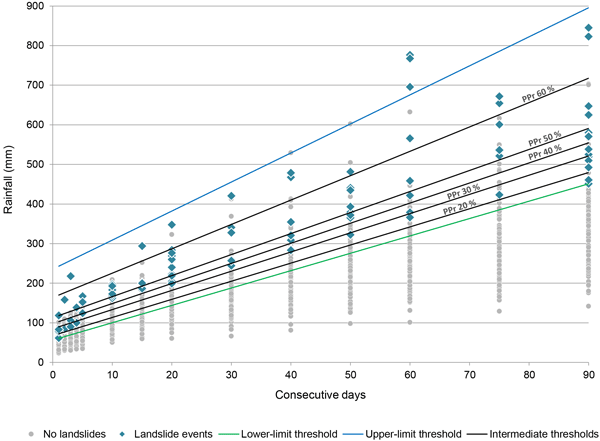 This work proposes a comprehensive method to assess rainfall thresholds for landslide initiation using centenary landslide and rainfall data. The method includes the identification of critical rainfall related to each landslide event, the calculation and calibration of rainfall thresholds and the evaluation of rain gauge spatial representativeness. Results show that thresholds based on a probabilistic approach are highly recommended and can be easily included in early warning systems. We improve the warning system (WS) used to forecast landslides in Emilia Romagna (Italy) by using averaged soil moisture estimates. We tested two approaches. The first (based on a soil moisture threshold under which the original WS is not used) is very simple, reduces false alarms and can be easily applied elsewhere. The second (integrating rainfall and soil moisture thresholds in the WS) is more complicated but reduces both false alarms and missed alarms. The Volcán de Colima (Mexico) is commonly hit by hurricanes that form over the Pacific Ocean, triggering multiple lahars along main ravines on the volcano. Rainfall-runoff simulations were compared with the arrival time of main lahar fronts, showing that flow pulses can be correlated with rainfall peak intensity and watershed discharge, depending on the watershed area and shape. This outcome can be used to implement an early warning system based on the monitoring of a hydro-meteorological event. 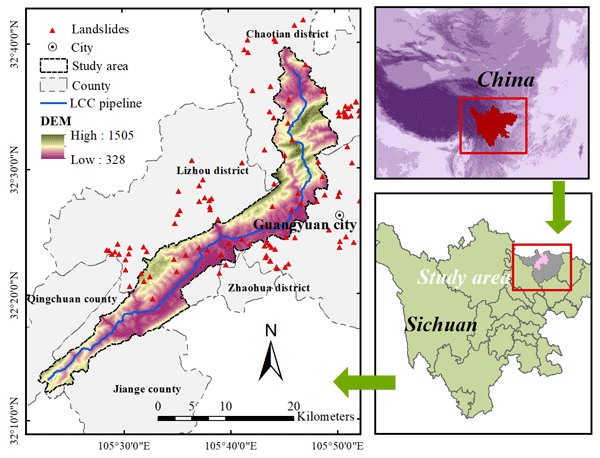 The aim of this paper is to evaluate the debris flow occurrence thresholds of the rainfall intensity–duration in the earthquake-affected areas of Sichuan province over the rainy seasons from 2012 to 2014. it is clear that radar-based rainfall estimate and threshold supplement the monitoring gap of EWS where rain gauge is scarce. 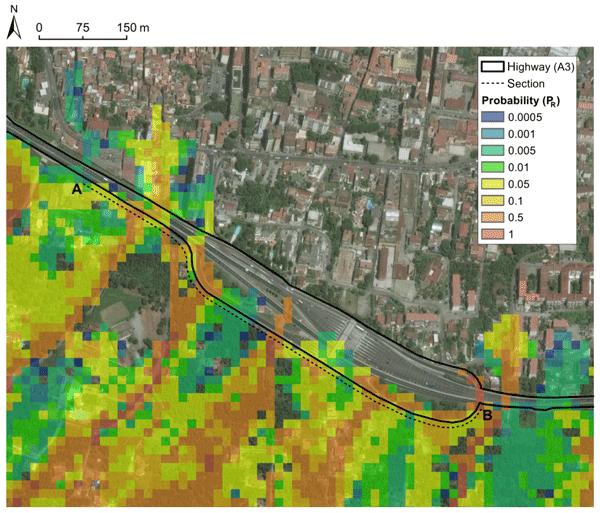 A better understanding of relationship between rainfall and debris flow initiation can be enhanced by the radar with highly spatiotemporal resolution. The Karakoram Highway (KKH) is an important physical connection between Pakistan and China. Landslides has been major threat to its stability since its construction. After announcement of China Pakistan Economic Corridor (CPEC), KKH has got more importance. Geo-scientists from research institutions of both countries are assessing landslide hazard and risk along the Highway. In my PhD project, this paper would be followed by detailed analysis of mass movements along the highway. Alvioli, M. and Baum, R.: Parallelization of the TRIGRS model for rainfall-induced landslides using the message passing interface, Environ. Modell. Softw., 81, 122–135, https://doi.org/10.1016/j.envsoft.2016.04.002, 2016. Amann, G., Schennach, R., Kessler, J., Maier, B., and Terzer, S.: Handbuch der Vorarlberger Waldgesellschaften, vol. 2, Amt der Vorarlberger Landesregierung, Abteilung Forstwesen, 2014. Andrecs, P., Markart, G., Lang, E., Hagen, K., Kohl, B., and Bauer, W.: Untersuchung der Rutschungsprozesse vom Mai 1999 im Laternsertal (Vorarlberg), BFW Berichte, 127, 55–87, 2002. 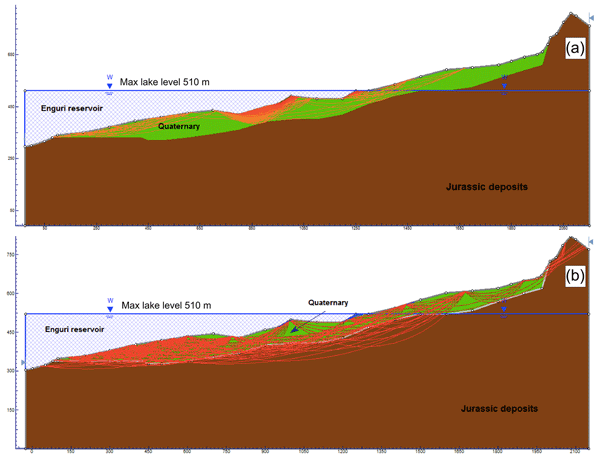 Bathurst, J. C., Moretti, G., El-Hames, A., Moaven-Hashemi, A., and Burton, A.: Scenario modelling of basin-scale, shallow landslide sediment yield, Valsassina, Italian Southern Alps, Nat. Hazards Earth Syst. Sci., 5, 189–202, https://doi.org/10.5194/nhess-5-189-2005, 2005. Baum, R. L., Savage, W. Z., and Godt, J. W.: TRIGRS- A Fortran Program for Transient Rainfall Infiltration and Grid-Based Regional Slope-Stability Analysis, Version 2.0, Tech. rep., US Geological Survey, 2008. 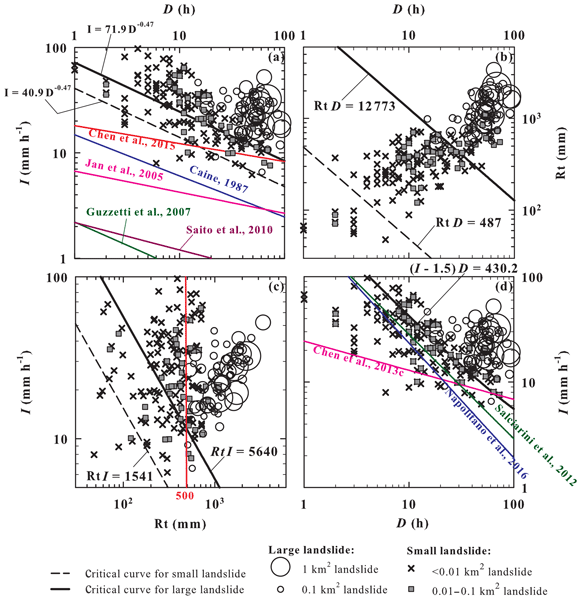 Baum, R. L., Godt, J. W., and Savage, W. Z.: Estimating the timing and location of shallow rainfall-induced landslides using a model for transient, unsaturated infiltration, J. Geophys. Res., 115, F03013, https://doi.org/10.1029/2009JF001321, 2010. Begueria, S.: Validation and Evaluation of Predictive Models in Hazard Assessment and Risk Management, Nat. Hazards, 37, 315–329, https://doi.org/10.1007/s11069-005-5182-6, 2006. Berti, M. and Simoni, A.: Field evidence of pore pressure diffusion in clayey soils prone to landsliding, J. Geophys. Res.-Earth, 115, F04006, https://doi.org/10.1029/2009JF001463, 2010. Beven, K. and Freer, J.: Equifinality, data assimilation, and uncertainty estimation in mechanistic modelling of complex environmental systems using the GLUE methodology, J. Hydrol., 249, 11–29, https://doi.org/10.1016/S0022-1694(01)00421-8, 2001. Beven, K. and Kirkby, M.: A physically based, variable contributing area model of basin hydrology, Hydrol. Sci. Bull., 24, 43–69, https://doi.org/10.1080/02626667909491834, 1979. Bischetti, G., Chiaradia, E., Epis, T., and Morlotti, E.: Root cohesion of forest species in the Italian Alps, Plant Soil, 324, 71–89, https://doi.org/10.1007/s11104-009-9941-0, 2009. Bischetti, G. B., Chiaradia, E. A., Simonato, T., Speziali, B., Vitali, B., Vullo, P., and Zocco, A.: Root strength and root area ratio of forest species in Lombardy (Northern Italy), Plant Soil, 278, 11–22, https://doi.org/10.1007/s11104-005-0605-4, 2005. Bollinger, D., Hegg, C., Keusen, H., and Lateltin, O.: Ursachenanalyse der Hanginstabilitäten 1999. Arbeitsgruppe Geologie und Naturgefahren (AGN) Teil A: Allgemeiner Teil: Aspekte der Hangstabilität, in: Bulletin für angewandte Geologie, 5/1, 5–38, AGN, 2000. Carrara, A., Cardinali, M., Detti, R., Guzzetti, F., Pasqui, V., and Reichenbach, P.: GIS techniques and statistical models in evaluating landslide hazard, Earth Surf. Proc. Land., 16, 427–445, https://doi.org/10.1002/esp.3290160505, 1991. Casadei, M., Dietrich, W. E., and Miller, N. L.: Testing a model for predicting the timing and location of shallow landslide initiation in soil-mantled landscapes, Earth Surf. Proc. Land., 28, 925–950, https://doi.org/10.1002/esp.470, 2003. Catani, F., Segoni, S., and Falorni, G.: An empirical geomorphology-based approach to the spatial prediction of soil thickness at catchment scale, Water Resour. Res., 46, W05508, https://doi.org/10.1029/2008WR007450, 2010. Crosta, G. B. and Frattini, P.: Distributed modelling of shallow landslides triggered by intense rainfall, Nat. Hazards Earth Syst. Sci., 3, 81–93, https://doi.org/10.5194/nhess-3-81-2003, 2003. Cruden, D. M. and Varnes, D. J.: Landslide types and processes, in: Landslides, Investigation and Mitigation, edited by: Turner, A. K. and Schuster, R. L., Transportation Research Board Special Report 247, Washington D.C., 36–75, 1996. Davis, J. L. and Annan, A. P.: Ground-penetrating radar for high-resolution mapping of soil and rock stratigraphy, Geophys. Prospect., 37, 531–551, https://doi.org/10.1111/j.1365-2478.1989.tb02221.x, 1989. Dietrich, W. and Montgomery, D.: Shalstab: a digital terrain model for mapping shallow landslide potential, WWW document, http://socrates.berkeley.edu/~geomorph/shalstab/ (last access: 20 May 2015), 1998. Dietrich, W. E., Reiss, R., Hsu, M.-L., and Montgomery, D. R.: A process-based model for colluvial soil depth and shallow landsliding using digital elevation data, Hydrol. Process., 9, 383–400, https://doi.org/10.1002/hyp.3360090311, 1995. Dobler, C. and Pappenberger, F.: Global sensitivity analyses for a complex hydrological model applied in an Alpine watershed, Hydrol. Process., 27, 3922–3940, https://doi.org/10.1002/hyp.9520, 2013. Fairbridge, R. W.: The Encyclopedia of Geomorphology. Encyclopedia of Earth Sciences Series, vol. 3, Dowden, Hutchinson & Ross Stroudsburg, Pennsylvania, 1968. Formayer, H. and Kromp-Kolb, H.: Hochwasser und Klimawandel. Auswirkungen des Klimawandels auf Hochwasserereignisse in Österreich, BOKU-Met, Wien, https://meteo.boku.ac.at/klima/berichte/ (last access: 14 September 2016), 2009. Formetta, G., Capparelli, G., and Versace, P.: Evaluating performance of simplified physically based models for shallow landslide susceptibility, Hydrol. Earth Syst. Sci., 20, 4585–4603, https://doi.org/10.5194/hess-20-4585-2016, 2016. Friebe, J.: Vorarlberg. Geologie der Österreichischen Bundesländer, Verlag der Geologischen Bundesanstalt (GBA), Wien, 2007. Gardner, W.: Some steady-state solutions of the unsaturated moisture flow equation with application to evaporation from a water table, Soil Sci., 85, 228–232, 1958. Gioia, E., Speranza, G., Ferretti, M., Godt, J. W., Baum, R. L., and Marincioni, F.: Application of a process-based shallow landslide hazard model over a broad area in Central Italy, Landslides, 13, 1197–1214, https://doi.org/10.1007/s10346-015-0670-6, 2016. GRASS Development Team: Geographic Resources Analysis Support System (GRASS GIS) Software, Open Source Geospatial Foundation, USA, http://grass.osgeo.org (last access: 8 July 2016), 2014. Hammond, C., Hall, D., Miller, S., and Swetik, P.: Level I stability analysis (LISA) documentation for version 2.0, Intermountain Research Station, Ogden, 1992. Heimsath, A. M., Dietrich, W. E., Nishiizumi, K., and Finkel, R. C.: The soil production function and landscape equilibrium, Nature, 388, 358–361, https://doi.org/10.1038/41056, 1997. Heissel, W., Oberhauser, R., and Schmidegg, O.: Geologische Karte des Walgaues, Vorarlberg 1 : 25.000, Verlag der Geologischen Bundesanstalt (GBA), Wien, 1967. Heumader, J.: Die Katastrophenlawinen von Galtür und Valzur am 23. und 24.2.1999 im Paznauntal/Tirol, in: Proc. of the IX International Congress Interpraevent 2000, Villach, vol. 1, 397–409, 2000. Horn, B.: Hill shading and the reflectance map, P. IEEE, 69, 14–47, https://doi.org/10.1109/PROC.1981.11918, 1981. Keijsers, J. G. S., Schoorl, J. M., Chang, K. T., Chiang, S. H., Claessens, L., and Veldkamp, A.: Calibration and resolution effects on model performance for predicting shallow landslide locations in Taiwan, Geomorphology, 133, 168–177, https://doi.org/10.1016/j.geomorph.2011.03.020, 2011. Kienholz, H.: Kombinierte geomorphologische Gefahrenkarte 1:10 000 von Grindelwald, Catena, 3, 265–294, https://doi.org/10.1016/0341-8162(77)90034-0, 1977. Kim, D., Im, S., Lee, C., and Woo, C.: Modeling the contribution of trees to shallow landslide development in a steep, forested watershed, Ecol. Eng., 61, 658–668, https://doi.org/10.1016/j.ecoleng.2013.05.003, 2013. Kromp-Kolb, H., Nakicenovic, N., Seidl, R., Steininger, K., Ahrens, B., Auer, I., Baumgarten, A., Bednar-Friedl, B., Eitzinger, J., Foelsche, U., Formayer, H., Geitner, C., Glade, T., Gobiet, A., Grabherr, G., Haas, R., Haberl, H., Haimberger, L., Hitzenberger, R., König, M., Köppl, A., Lexer, M., Loibl, W., Molitor, R., Moshammer, H., Nachtnebel, H.-P., Prettenthaler, F., Rabitsch, W., Radunsky, K., Schneider, L., Schnitzer, H., Schöner, W., Schulz, N., Seibert, P., Stagl, S., Steiger, R., Stötter, H., Streicher, W., and Winiwarter, W.: Österreichischer Sachstandsbericht Klimawandel 2014 (AAR14). Austrian Panel on Climate Change (APCC), Verlag der Österreichischen Akademie der Wissenschaften, Wien, Österreich, 2014. Kutschera, L. and Lichtenegger, E.: Wurzelatlas europäischer Waldbäume, Leopold Stocker Verlag, Graz, 2002. 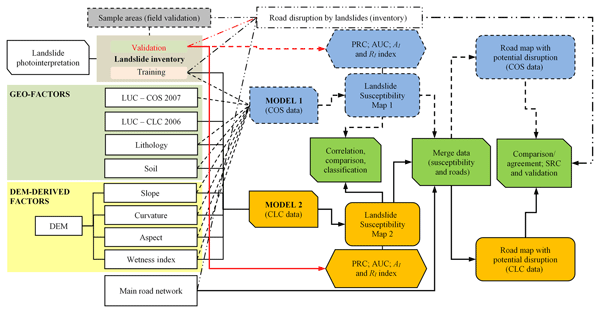 Lanni, C., Borga, M., Rigon, R., and Tarolli, P.: Modelling shallow landslide susceptibility by means of a subsurface flow path connectivity index and estimates of soil depth spatial distribution, Hydrol. Earth Syst. Sci., 16, 3959–3971, https://doi.org/10.5194/hess-16-3959-2012, 2012. Lanni, C., McDonnell, J., Hopp, L., and Rigon, R.: Simulated effect of soil depth and bedrock topography on near-surface hydrologic response and slope stability, Earth Surf. Proc. Land., 38, 146–159, https://doi.org/10.1002/esp.3267, 2013. Lateltin, O., Haemmig, C., Raetzo, H., and Bonnard, C.: Landslide risk management in Switzerland, Landslides, 2, 313–320, https://doi.org/10.1007/s10346-005-0018-8, 2005. Lu, N. and Godt, J. W.: Hillslope hydrology and stability, Cambridge University Press, New York, 2013. Markart, G., Perzl, F., Kohl, B., Luzian, R., Kleemayr, K., Ess, B., and Mayerl, J.: Schadereignisse 22./23. August 2005 – Ereignisdokumentation und -analyse in ausgewählten Gemeinden Vorarlbergs, in: BFW-Dokumentation, vol. 5, Bundesforschungs-und Ausbildungszentrum für Wald, Naturgefahren und Landschaft, Wien, 2007. Mergili, M., Fischer, J.-T., Krenn, J., and Pudasaini, S. P.: r.avaflow v1, an advanced open-source computational framework for the propagation and interaction of two-phase mass flows, Geosci. Model Dev., 10, 553–569, https://doi.org/10.5194/gmd-10-553-2017, 2017. Metz, C. E.: Basic principles of ROC analysis, Sem. Nucl. Med., 8, 283–298, https://doi.org/10.1016/S0001-2998(78)80014-2, 1978. Milledge, D. G., Griffiths, D. V., Lane, S. N., and Warburton, J.: Limits on the validity of infinite length assumptions for modelling shallow landslides, Earth Surf. Proc. Land., 37, 1158–1166, https://doi.org/10.1002/esp.3235, 2012. Montgomery, D. R. and Dietrich, W. E.: A physically-based model for the topographic control on shallow landsliding, Water Resour. Res., 30, 1153–1171, https://doi.org/10.1029/93WR02979, 1994. Oberhauser, R.: Neue Beiträge zur Geologie und Mikropaläontologie von Helvetikum und Flysch im Gebiet der Hohen Kugel (Vorarlberg), Verhandlungen der Geologischen Bundesanstalt, 1958/2, 121–140, 1958. Oberhauser, R.: Geologische Karte St. Gallen Süd und Dornbirn Süd 1 : 25.000, Verlag der Geologischen Bundesanstalt (GBA), Wien, 1982. Oberhauser, R.: Erläuterungen zur geologisch-tektonischen Übersichtskarte von Vorarlberg 1 : 200.000, Verlag der Geologischen Bundesanstalt (GBA), Wien, 1998. ÖNORM EN ISO 22476-2:2012: Geotechnische Erkundung und Untersuchung – Felduntersuchungen – Teil 2: Rammsondierungen. Geotechnical investigation and testing – Field testing – Part 2: Dynamic probing, Austrian Standards, 2012. 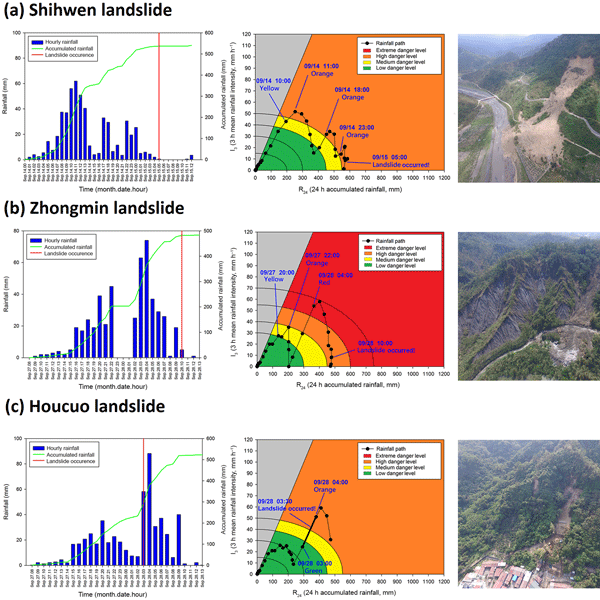 Park, D. W., Nikhil, N. V., and Lee, S. R.: Landslide and debris flow susceptibility zonation using TRIGRS for the 2011 Seoul landslide event, Nat. Hazards Earth Syst. Sci., 13, 2833–2849, https://doi.org/10.5194/nhess-13-2833-2013, 2013. Prinz, H. and Strauß, R.: Ingenieurgeologie, vol. 5, Springer, Heidelberg, 2011. Python Software Foundation: Python Programming Language, Python Software Foundation, Hampton, New Hampshire, http://www.python.org/ (last access: 18 November 2016), 2016. R Core Team: R: A Language and Environment for Statistical Computing, R Foundation for Statistical Computing, Vienna, Austria, https://www.R-project.org/ (last access: 14 December 2016), 2016. 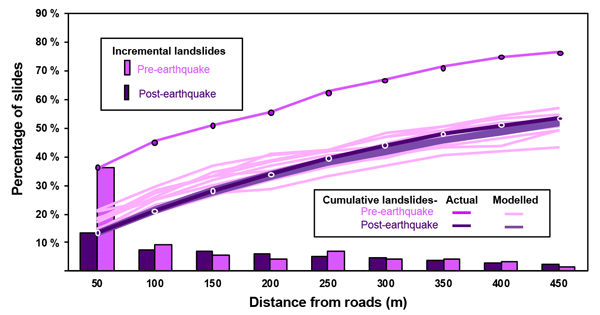 Raia, S., Alvioli, M., Rossi, M., Baum, R. L., Godt, J. W., and Guzzetti, F.: Improving predictive power of physically based rainfall-induced shallow landslide models: a probabilistic approach, Geosci. Model Dev., 7, 495–514, https://doi.org/10.5194/gmd-7-495-2014, 2014. Rowe, P. W. and Barden, L.: A new consolidation cell, Géotechnique, 16, 162–170, https://doi.org/10.1680/geot.1966.16.2.162, 1966. Salciarini, D., Godt, J. W., Savage, W. Z., Conversini, P., Baum, R. L., and Michael, J. 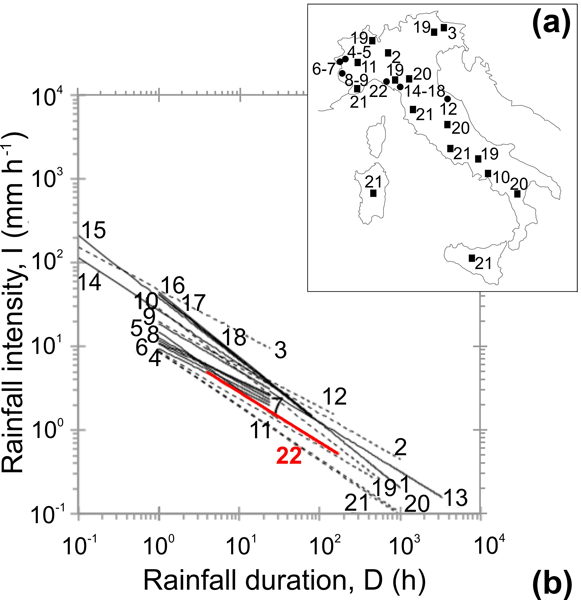 A.: Modeling regional initiation of rainfall-induced shallow landslides in the eastern Umbria Region of central Italy, Landslides, 3, 181–194, https://doi.org/10.1007/s10346-006-0037-0, 2006. Sass, O.: Bedrock detection and talus thickness assessment in the European Alps using geophysical methods, J. Appl. Geophys., 62, 254–269, https://doi.org/10.1016/j.jappgeo.2006.12.003, 2007. Schmidt, H.-H., Buchmaier, R. F., and Vogt-Breyer, C.: Grundlagen der Geotechnik: Geotechnik nach Eurocode, Springer Fachmedien Wiesbaden, Heidelberg, 2014. Schwarz, M., Preti, F., Giadrossich, F., Lehmann, P., and Or, D.: Quantifying the role of vegetation in slope stability: A case study in Tuscany (Italy), Ecol. Eng., 36, 285–291, https://doi.org/10.1016/j.ecoleng.2009.06.014, 2010. 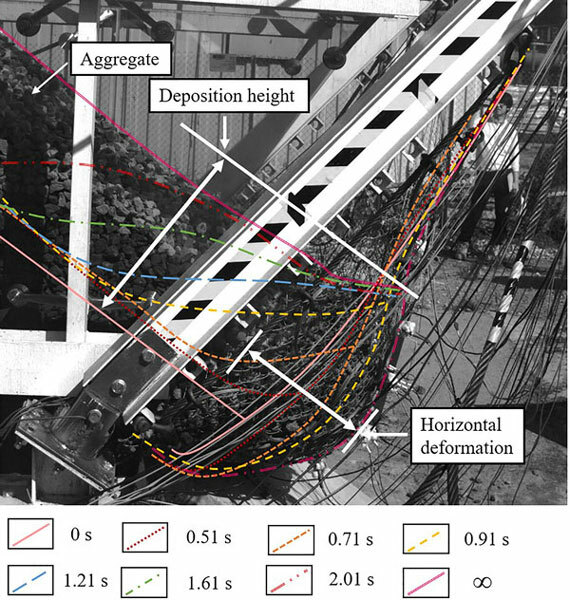 Schwarz, M., Cohen, D., and Or, D.: Spatial characterization of root reinforcement at stand scale: Theory and case study, Geomorphology, 171–172, 190–200, https://doi.org/10.1016/j.geomorph.2012.05.020, 2012. Segoni, S., Rossi, G., and Catani, F.: Improving basin scale shallow landslide modelling using reliable soil thickness maps, Nat. Hazards, 61, 85–101, https://doi.org/10.1007/s11069-011-9770-3, 2012. Seibert, P., Frank, A., and Formayer, H.: Synoptic and regional patterns of heavy precipitation in Austria, Theor. Appl. 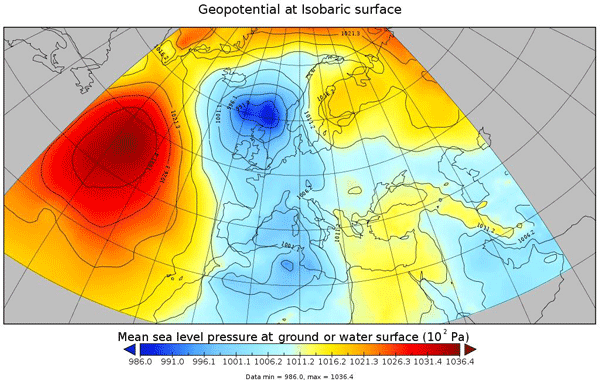 Climatol., 87, 139–153, https://doi.org/10.1007/s00704-006-0198-8, 2007. Srivastava, R. and Yeh, T. C. J.: Analytical Solutions For One-dimensional, Transient Infiltration Toward the Water-table In Homogeneous and Layered Soils, Water Resour. Res., 27, 753–762, https://doi.org/10.1029/90WR02772, 1991. Steinacher, R., Medicus, G., Fellin, W., and Zangerl, C.: The Influence of Deforestation On Slope (in-) Stability, Aust. J. Earth Sci., 102, 90–99, 2009. 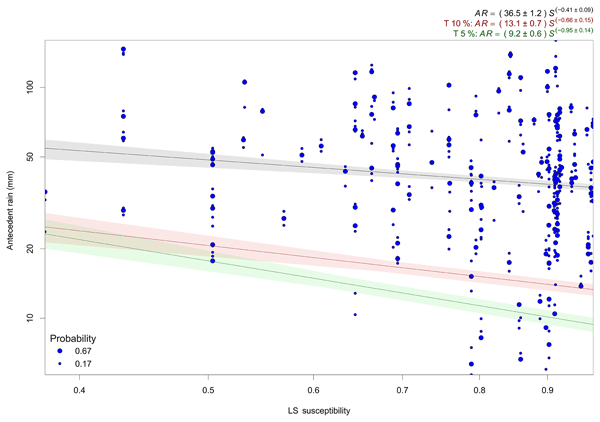 Tang, Y., Reed, P., Wagener, T., and van Werkhoven, K.: Comparing sensitivity analysis methods to advance lumped watershed model identification and evaluation, Hydrol. Earth Syst. Sci., 11, 793–817, https://doi.org/10.5194/hess-11-793-2007, 2007. Tesfa, T. K., Tarboton, D. G., Chandler, D. G., and McNamara, J. P.: Modeling soil depth from topographic and land cover attributes, Water Resour. Res., 45, W10438, https://doi.org/10.1029/2008WR007474, 2009. USGS: TRIGRS 2.0., http://pubs.usgs.gov/of/2008/1159/downloads/, last access: 2 November 2016.
van Bebber, W. J.: Die Zugstrassen der barometrischen Minima nach den Bahnenkarten der Deutschen Seewarte für den Zeitraum von 1870–1890, Meteorol. Z., 8, 361–366, 1891.
van Westen, C. J., van Asch, T. W. J., and Soeters, R.: Landslide hazard and risk zonation – why is it still so difficult?, B. Eng. Geol. Environ., 65, 167–184, https://doi.org/10.1007/s10064-005-0023-0, 2006. Vieira, B. C., Fernandes, N. F., and Filho, O. 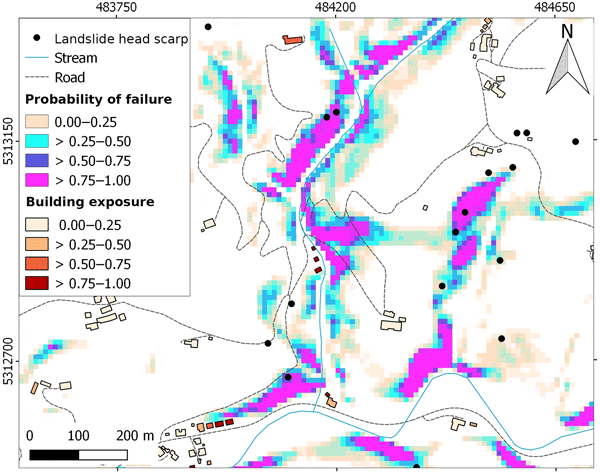 A.: Shallow landslide prediction in the Serra do Mar, São Paulo, Brazil, Nat. Hazards Earth Syst. Sci., 10, 1829–1837, https://doi.org/10.5194/nhess-10-1829-2010, 2010. 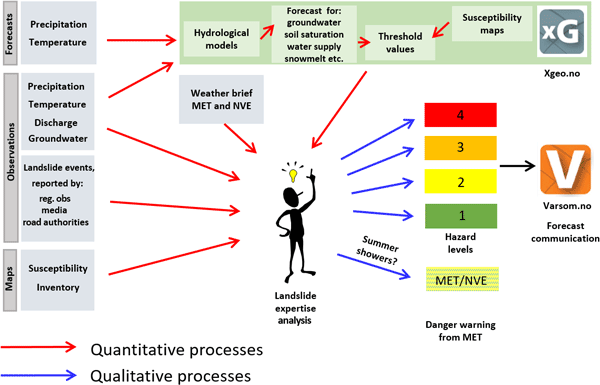 Wagener, T. and Kollat, J.: Numerical and visual evaluation of hydrological and environmental models using the Monte Carlo analysis toolbox, Environ. Modell. Softw., 22, 1021–1033, https://doi.org/10.1016/j.envsoft.2006.06.017, 2007. Werner, R. and Auer, I.: Klima von Vorarlberg: Eine anwendungsorientierte Klimatographie. 2. Niederschlag und Gewitter, Schnee und Gletscher, Verdunstung, Luftdruck, Wind, Umweltinstitut des Landes Vorarlberg, Bregenz, 2001a. Werner, R. and Auer, I.: Klima von Vorarlberg: Eine anwendungsorientierte Klimatographie. 1. Lufttemperatur, Bodentemperatur, Wassertemperatur, Luftfeuchte, Bewölkung, Nebel, Umweltinstitut des Landes Vorarlberg, Bregenz, 2001b. Wiedenhöft, A. and Vatslid, S.: LiDAR und RGB – Land Vorarlberg. Technischer Abschlussbericht, Tech. rep., Trimble Germany GmbH, 2014. 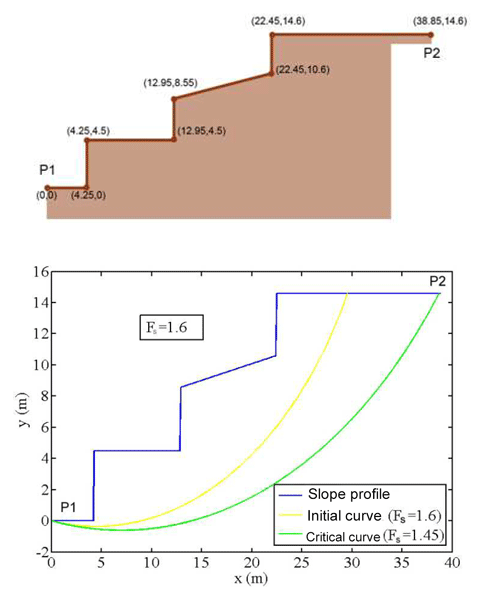 Wiegand, C., Kringer, K., Geitner, C., and Rutzinger, M.: Regolith structure analysis – A contribution to understanding the local occurrence of shallow landslides (Austrian Tyrol), Geomorphology, 183, 5–13, https://doi.org/10.1016/j.geomorph.2012.06.027, 2013. Wood, J.: The geomorphological characterisation of digital elevation models, PhD thesis, University of Leicester, Leicester, http://hdl.handle.net/2381/34503 (last access: 27 June 2017), 1996. Zieher, T., Perzl, F., Rössel, M., Rutzinger, M., Meißl, G., Markart, G., and Geitner, C.: A multi-annual landslide inventory for the assessment of shallow landslide susceptibility – Two test cases in Vorarlberg, Austria, Geomorphology, 259, 40–54, https://doi.org/10.1016/j.geomorph.2016.02.008, 2016. 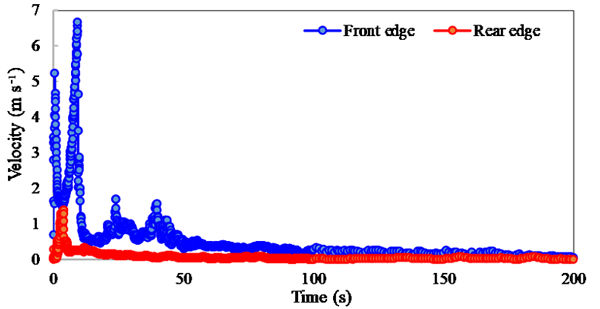 Zieher, T., Markart, G., Ottowitz, D., Römer, A., Rutzinger, M., Meißl, G., and Geitner, C.: Water content dynamics at plot scale–comparison of time-lapse electrical resistivity tomography monitoring and pore pressure modelling, J. Hydrol., 544, 195–209, https://doi.org/10.1016/j.jhydrol.2016.11.019, 2017. 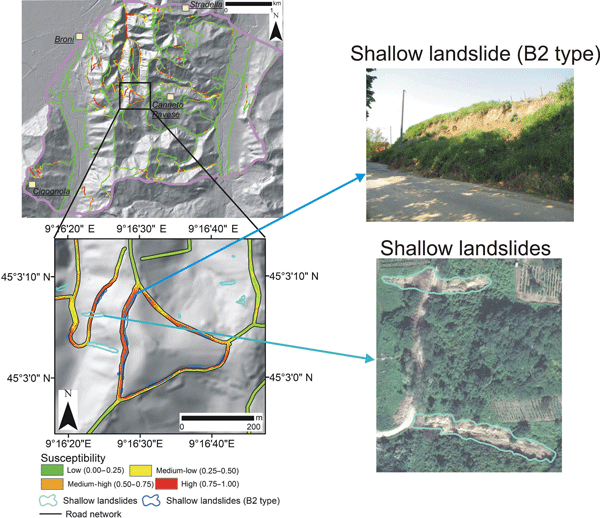 Zizioli, D., Meisina, C., Valentino, R., and Montrasio, L.: Comparison between different approaches to modeling shallow landslide susceptibility: a case history in Oltrepo Pavese, Northern Italy, Nat. Hazards Earth Syst. Sci., 13, 559–573, https://doi.org/10.5194/nhess-13-559-2013, 2013. At catchment scale, it is challenging to provide the required input parameters for physically based slope stability models. 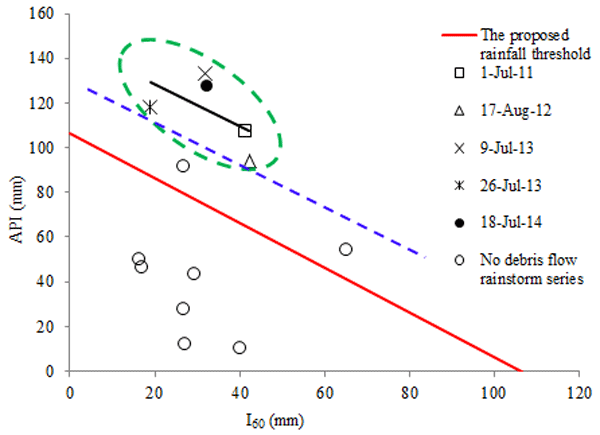 In the present study, the parameterization of such a model is optimized against observed shallow landslides during two triggering rainfall events. With the resulting set of parameters the model reproduces the location and the triggering timing of most observed landslides. Based on that, potential effects of increasing precipitation intensity on slope stability are assessed.